Kelsy and I have known each other since high school when we thought that Taco John's was the pinnacle of good food. My how things have changed. She's living in France now where food is serious business. She's working on a plan to bring the popularity of the food truck trend to France. You can read more about her cooking adventures on her blog. She wrote me an e-mail describing her romantic Valentine's dinner making the Bombay Sloppy Joes recipe I've posted here on Kitchen Table Friends a few times. So I asked her to share her take on turning a messy, unromantic dish into a nice evening for two. Take it away Kelsy!! 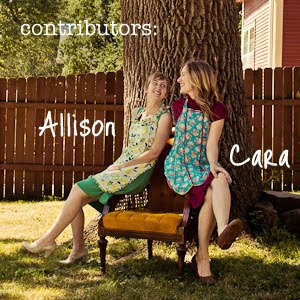 This is my first time guest-posting on Kitchen Table Friends! Thank you to Allison and Cara for having me. My goal in the kitchen is to constantly reinvent, from modernizing classics like roasted turkey, grilled cheese, meatloaf (coming soon! ), etc. to completely new flavors, winging it. I love the idea of passing recipes along to one another, and seeing how they evolve. So glad to be a part of it! I'm not a romantic. I'm not the girl that tells her partner she loves him everyday, or every time we're on the phone together. I think that romance, and love, should mean something, and that hearing those words over and over again makes them less special. I certainly don't expect my boyfriend to get me flowers on Valentine's Day. Why this day? Why not on March 21st, just because? Romance, for me, takes form in the simple and mundane everyday gestures that we accomplish day in and day out. It's knowing that I'm with someone that cares about me more than anything, and loves me unconditionally. I don't need roses or chocolates or *shudder* cutesy stuffed animals to prove that to me. Jérôme knows me pretty well. Aside from our first year together, we haven't ever celebrated Valentine's Day together, unless you count the time a couple of years ago that we both went in on a Nintendo Wii, calling it our V-Day gift. Plus, who wants to waste time and money going out to a crowded and sub-par restaurant on this occasion, when you could be cozied up at home, drinking cocktails made with the magic of recently imported Guadeloupean rum and home-made ginger ale? Or nestled on the couch between your loved one and your adorable cat, dreaming about your next vacation? Or in the kitchen, working together to prepare a fun and delicious meal that has nothing to do with hearts and pink roses and candy but just, us? All I really wanted for Valentine's Day was good food and good company, and that's exactly what I got. Knowing that Jérôme doesn't care about Valentine's Day either but wanting to cater to his tastes (in honor of the day, why not? ), I concocted a simple man friendly, America meets India meets Italy, home cooked meal that I knew would please both of us. Gingery cocktails (an aphrodisiac is always a hit with the guys!). 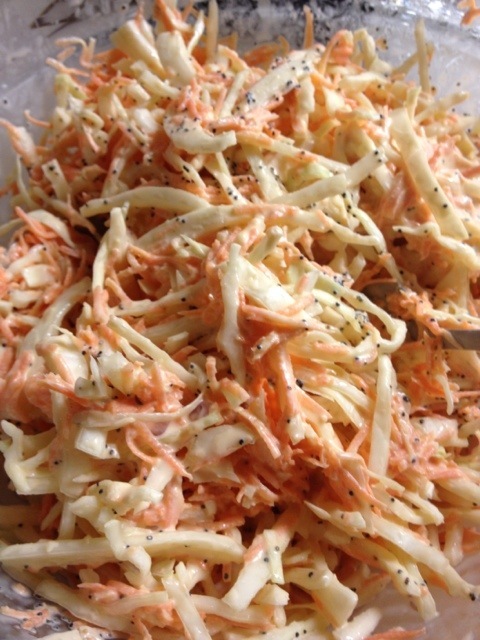 Fresh, crisp coleslaw. 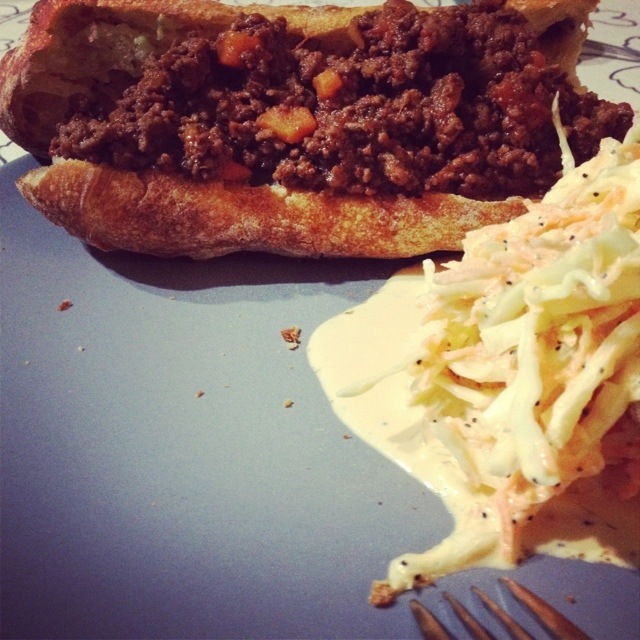 Sloppy joes with a twist. Garlicky baked baguette. Hand-cut french fries. These, my friends, were the keys to his heart. The idea came to me around 4:00 p.m. yesterday while I was at work. After a few text messages back and forth, Jérôme popped the question: "What's for dinner tonight?" I sheepishly responded that we had the choice of leftover curry potage, leftover crustless quiche with salmon, or leftover chicken with tomatoes and ginger. As usual, he didn't really seem to mind, but something about the day made me think that it couldn't be leftovers. My brain did a quick scan of what we had in the fridge: ground beef. I'd already made meatloaf the week before... And then it hit me. I knew exactly how I would win him over: with something he had no preconceived notion about, and would likely find odd (he is French, afterall), but that would blow his mind. It didn't hurt that I, being full of preconceived notions, was also dying to put my own spin on this "classic." 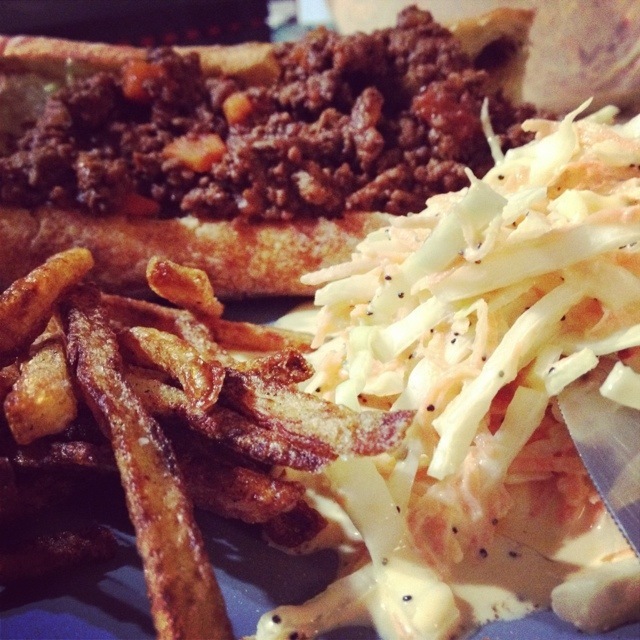 I immediately knew what would go with these sloppy joes: coleslaw (because I love it on a sandwich) and hand-cut french fries. Not to mention that the sloppy joes were to be served on garlic bread. Made from fresh baguette. It was the perfect romantic evening: as I began browning the vegetables for my sauce, Jérôme seductively helped me tie my apron on. As he was cutting the french fries, I snuck up behind him and kissed his neck. As the ingredients were slowly simmering together, we enjoyed a very ginger-and-alcohol-packed fizzy drink and laughed until our sides hurt. We stared at each other from across the table as we attempted to eat our sloppy joes in some sort of civilized manner, and laughed even harder when we were both covered in spicy red sauce. The rest is history. Spicy sloppy joes Inspired by Bombay sloppy joes from the Food Network (and recommended by Allison!) and Bolognese sauce from Smitten Kitchen The recipes for the coleslaw, frites and ginger ale cocktail will be coming soon on alamericaine! If you can, you should try to take your time with this dish. My sloppy joes were finished in about 2 hours total. Start by heating your olive oil over high heat in a very large skillet or dutch oven. Add your onions, carrots, gingers and garlics, and cook about 15 minutes, stirring often (if not constantly) and browning the vegetables. Add the bell pepper, spices, salt and pepper. Cook another five minutes or so, before adding the ground beef. You want to really brown it, without burning of course. Lower the heat slightly and keep an eye on it; you can probably safely start preparation of your side dish while waiting for the meat to cook through (it should burn less easily than the vegetables). Once the meat is thoroughly browned, turn the heat down to medium-low and add the tomato paste. Don't hesitate to taste the mixture and adjust the spice levels now. Add in the chile powder and flakes, along with the brown sugar, honey and ketchup. Let this mixture thicken slightly, cooking for about five to ten minutes more. Now it's time to add the blanched tomatoes. Give it another few minutes before adding the finishing touch (other than minor spice adjustments), the red wine, starting with two cups. This will give the dish that extra something, and brings a lot of body and flavor to it. That's it! I turned the heat down to low and let this just barely simmer for about another hour after the last step. You can add extra red wine depending on how much sauce you want in your sloppy joes, just remember to let it cook another 15-20 after the last addition. Bon appétit!